The Raheny Shamrock runner impresses in Rathfarnham, while Fionnuala Ross wins Scottish half marathon title in Glasgow. 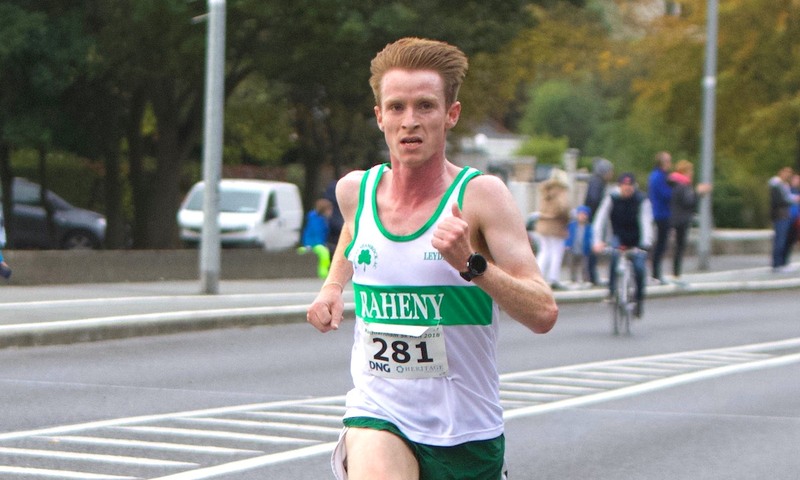 Kevin Dooney returned to road racing with a bang when he won the 21st Rathfarnham 5km in Dublin on Sunday (September 29). 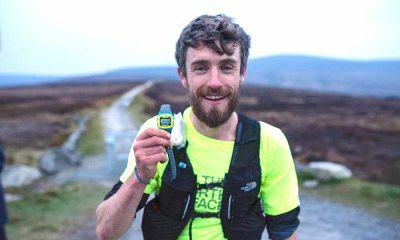 Dooney, who has been sharing his running journey this year on Fast Running, proved the class of the field finishing in 14:29. It was Raheny Shamrock’s second race back post injury after a third-place finish at the Mondello 10km at the beginning of September. Dooney’s winning time put him 11 seconds clear of Dunshaughlin’s Thomas Maher who won the battle for second place ahead of Colin Maher of Ballyfin AC and Sean Hehir of the host club Rathfarnham WSAF AC. First junior in a strong field was Keelan Kilrehill of Moy Valley AC who finished eighth in 15:04. One place behind was Olympian Shane Healy of Metro St Brigid’s AC who turns 50 next weekend and was first master. Winner of the women’s race was Catherine Mullan of Metro St Brigid’s in 16:28. Teresa Doherty of Finn Valley was a close second in 16:35 while third was junior athlete Emma O’Brien of Sli Cualann in 16:38. Another athlete making a comeback after a long battle with injury was Ciara Durkan of Skerries AC who was fourth woman in 16:51. 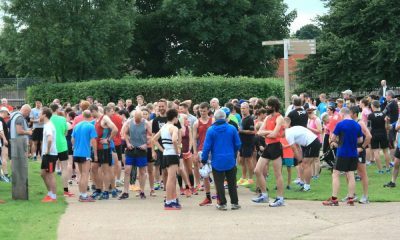 A record 946 completed the race from well over a thousand entries. 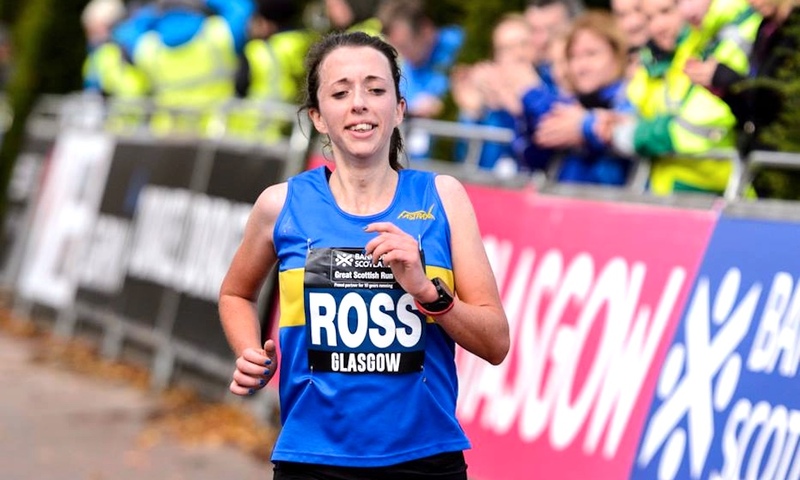 In Scotland, Fionnuala Ross of Armagh AC won the Scottish Athletics Half Marathon title at the Great Scottish Run in Glasgow on Sunday (September 30). Ross, who is based in Scotland and competes for Shettleston Harriers, finished fourth overall in a brilliant new personal best time of 74:11. Winning the wheelchair 10km race in 24:31 was Patrick Monahan of Le Cheile AC who defends his Dublin Marathon title at the end of the month. A full report from the Great Scottish Run can be found here. Siobhan O’Doherty of Borrisokane AC had almost two minutes to spare when winning the Tipperary Women’s Mini Marathon 10km in 36:20 on Sunday (September 30) in Thurles. Second in 38:05 was Sharon Cleere of Thurles AC while third was Aoife Burke of Vegan Runners UK in 40.28. 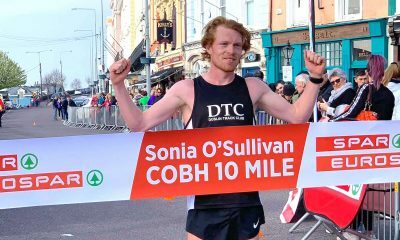 Winners of Sunday’s Sligo Coast to Coast 10-Mile from Strandhill to Rosses Point were Liam Feely of North Leitrim in 56:33 and Sara Doohan in 61:55. Also on Sunday, Kenneth Rodgers won the Grey Lake 10k in Loughrea Co Galway in a time of 32:17. First woman was Denise Barratt in 44:31. In Co Kildare, Stephen Conroy of Celbridge AC won the Naas Town 10km in 32:49 with Michelle Cox of Newbridge AC first woman in 37:05. Local resident Bob Lawlor and Sinead Leavy of Le Cheile AC were the winners of the 5km race. Finally, James Sherlock of Navan AC an emphatic winner of the Ras Gaelscoil Eanna 7km in Navan. He finished in 27:02. In second place and first woman was Claire Ni Fhaircheallaigh of Dunboyne AC in 29:12. 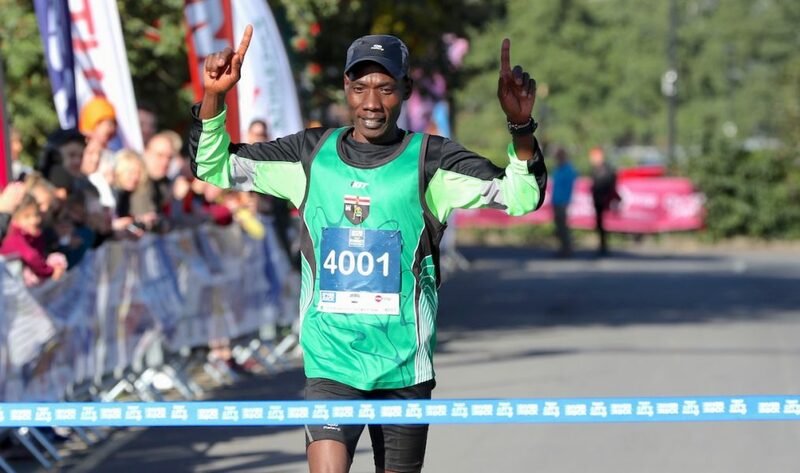 Gideon Kipsang of Derry Track Club and Jessica Craig of North Down AC were the winners at Saturday’s Bangor 10km, incorporating the Northern Ireland and Ulster 10km Championships (September 29). In a thrilling finale to the men’s race, Kipsang pipped Commonwealth Games marathon man Kevin Seaward of St Malachy’s AC with both men given a time of 30:21. A distant third was Declan Reed of City of Derry Spartans in 30:57; Reed was first master. Fourth and third in the NI and Ulster Championships was Mark McKinstry of North Belfast Harriers in 31:15. 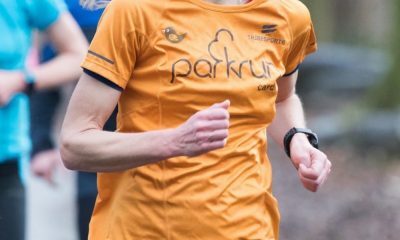 In the women’s race, Craig was a comfortable winner in 36:44, with Gladys Ganiel O’Neill of North Belfast Harriers second in 37:10 and Dromore AC’s Laura Bickerstaff third in a personal best of 37:58. Craig led North Down to the team victory over Beechmount Harriers and Ballydrain Harriers. North Belfast Harriers won the men’s team title ahead of Victoria Park and Connswater AC and Acorns AC. Robert Corbally of host club Dundrum South Dublin AC was the winner of the Sandyford 4km, held around Sandyford Industrial Estate on Thursday evening (September 26). Corbally’s time of 15:31 put him well clear of his clubmate Mark Conway in 15:54, with Donore’s Ray Lonergan third in 15:59. Aileen Gittens of Liffey Valley AC was first woman in 19:22, with Aine O’Donnell second in 19:36 and Aileen Flynn third in 19:37. The race, aimed at business teams, attracted close to 600 entries. 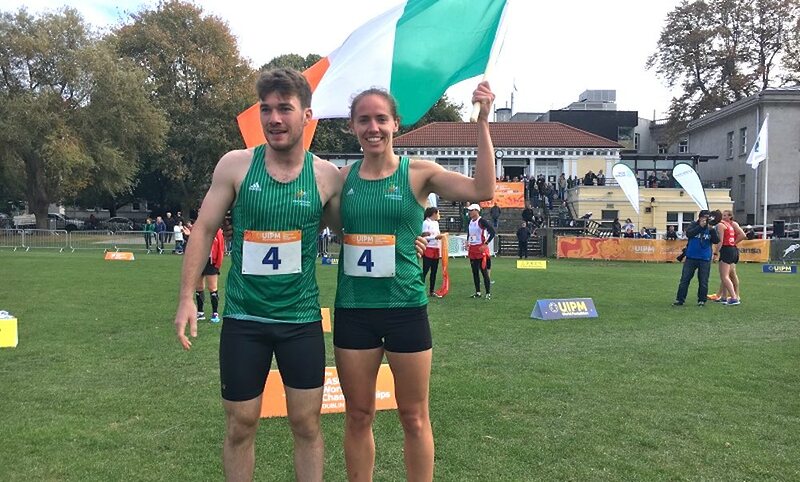 Irish athletes took a total of five medals at the Laser Run World Championships hosted by Dublin’s Trinity College over the weekend (September 29-30). The event, which consisted of four rounds of at a target with a laser gun interrupted by four 800m runs for a total of 3km and 20 direct hits on the target. had attracted more than 400 athletes from 28 nations to Dublin. Star of the Irish team was trainee Garda Kate Coleman Lenehan from Dublin who came away with three medals. On the opening day, she finished second in the women’s individual event behind Britain’s Jessica Varley and helped the Irish women’s team to gold. On day two, she paired up with Tom O’Brien to finish third in the mixed relay. O’Brien was winning his second medal – he had also finished second in the individual event a day earlier behind Bence Kardos of Hungary. The Irish pair were unlucky to miss out on silver, with O’Brien pipped by Britain’s Harry Lane on the final 800m. Hungary took the title. Ireland’s fifth medal was a silver for the women’s U19 team. Earlier in the season, Lenehan and Eilidh Prise took silver in the women’s relay at the European Pentathlon Championships. “The team is really important to us. There are loads of us, we are all doing really well and we have younger people coming through. What we’re trying to do is set a good example and hopefully inspire them to compete,” said Tom O’Brien.